I've always been one to struggle with school. In fact, I was actually terrible at school. In high school, we were given planners to help aid our studies and at that moment, everything changed. 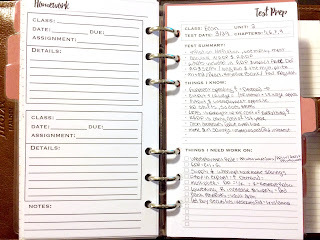 I was able to plan out my entire life which allowed me to know when everything was (and when the latest I could procrastinate on a project was, :P) One thing that was lacking for me with these planners given to us in high school, was the customization and the space needed to write everything down. Most planner gals generally just write down a few words and that's about it, but for me, I need to write down everything in detail. This is what drove me to make these inserts for college. I had taken quite a few years off after high school which really affected me in terms of prioritization. I needed something for ME, and the way I think. I also needed something as detailed as possible. That is when I created these school inserts. I needed a monthly calendar strictly for school, on one page and free of clutter. Having anything bigger would be unnecessary for me and I really wanted something I could glance at and be aware of all my events. 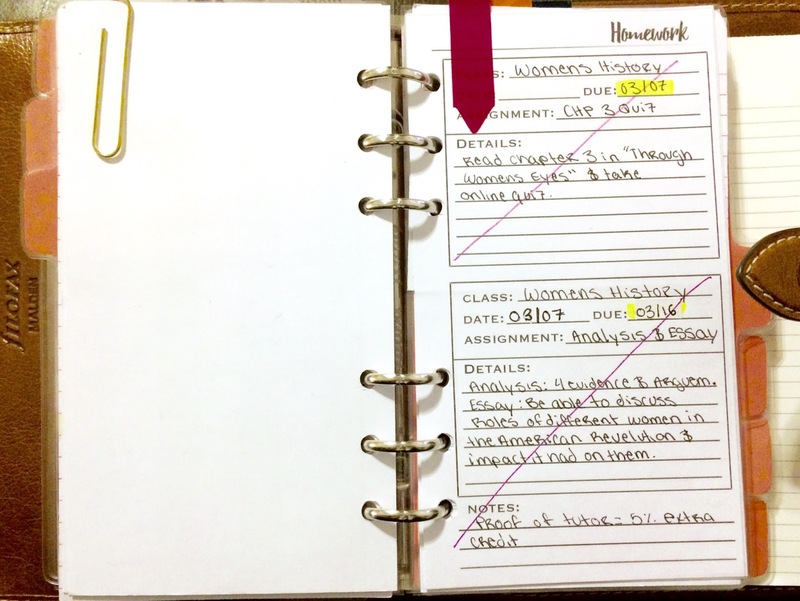 I also needed a place to track each of my assignments handed out by my teachers, with additional space for any and all details I may need to know. I created my inserts this way so that if you ever come across extra time on campus, all you need are these inserts. I also included a test prep insert in case you wanted to briefly review any and all material on a test that may be coming up soon. I know test taking isn't an easy task, and I wanted to make review all that much portable and simple. I hope you guys enjoy these inserts! Let me know if you have any questions, or more importantly, if these helped you! To download, click the link below! 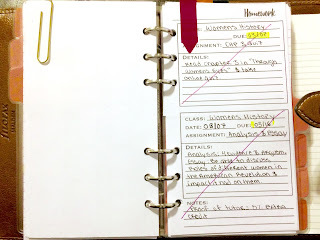 Like many people who buy a spiral bound planner, the idea of uncoiling it and putting into a binder crossed my mind pretty frequently. For me, it was the primary reason I even bought my Erin Condren planner. Initially, I was not impressed with the spiral bound system of the planner. It didn't allow for customization and I needed the added protection of the binder for whenever I travel. When I actually received my planner in the mail, my initial thoughts were thrown out the window. I loved being able to completely flip the binder back to write on and I loved how slim it looked. 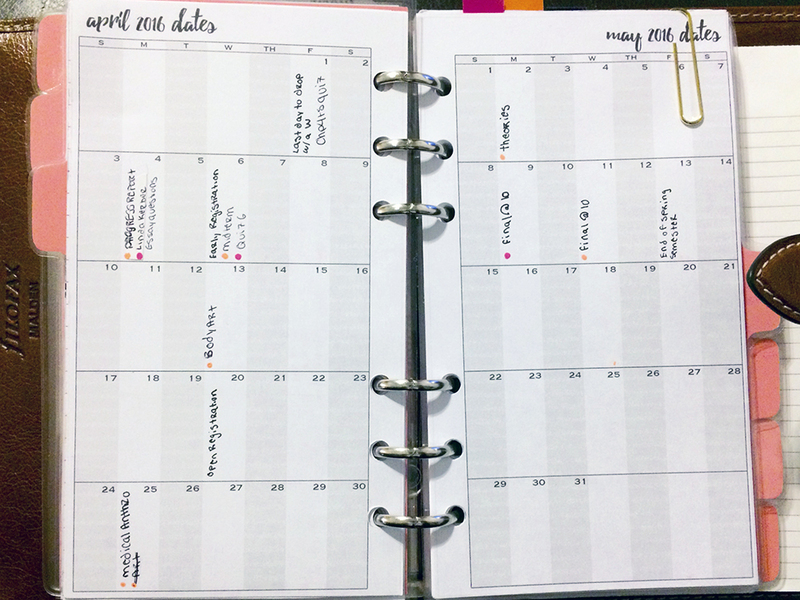 Regardless of my sudden change of feelings, I decided to uncoil the first few months of the planner and try it out in my Kikki-K agenda. I immediately regretted it. I didn't mind the slight overlap, but having such large pages made my standard a5 pages stand out like a sore thumb. Writing on my Erin Condren pages proved difficult with my a5 pages still in the binder because the size difference between the pages gave an uncomfortable lump to write on. This would not be an issue if the only pages inside the binder were an Erin Condren, but this binder had everything in it, including my finances and shop information. I had to find a way to put these pages back into my Erin Condren. 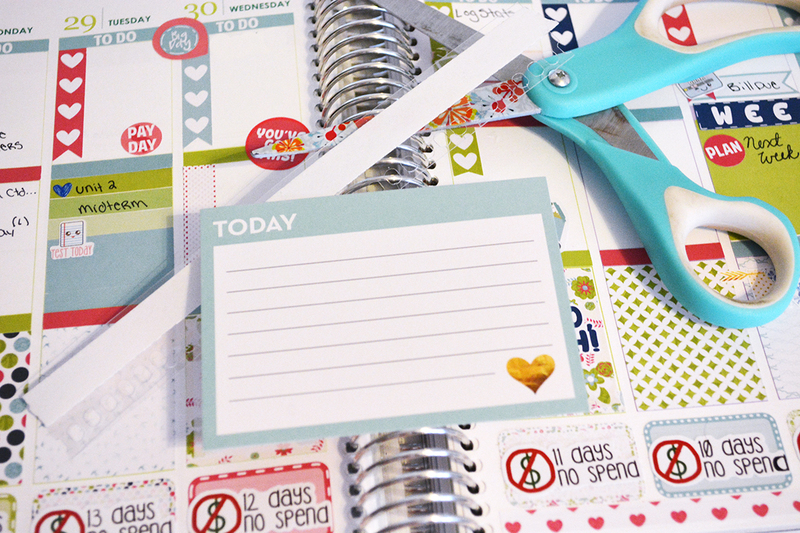 After doing some research, I found that the Erin Condren site actually sold planner clips (or snap-ins) which can attach to pieces of paper. 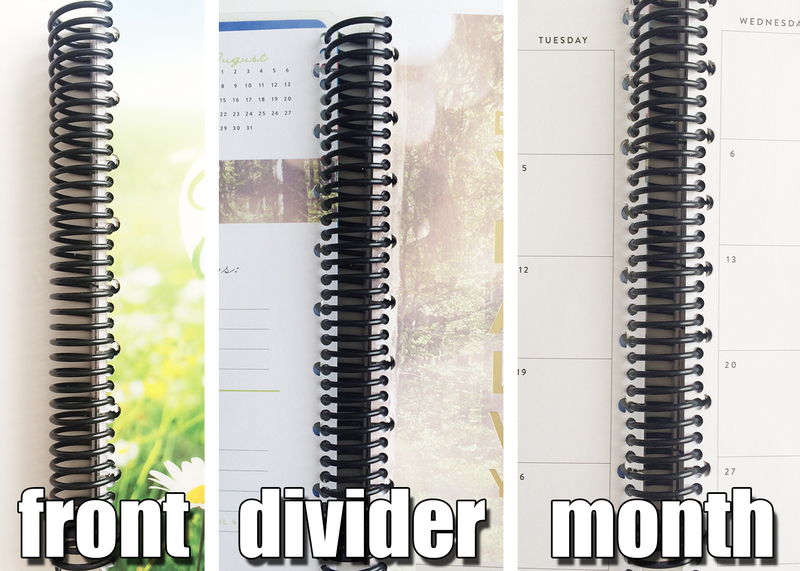 This allows you to be able to snap the sheet of paper into the coiled planner wherever it suits you. This sounded like the perfect solution.... except the snap ins on the website are much too small and come 7$ for a pack of 6. This would mean that I would need about 1.5 clips for every page and I had around 12 pages to put back in (depending if I want to include the month previous). So, basically I could only do 4 pages per set, and 3 sets total. That is around 31$ including shipping... for a planner I already put way too much money into. No thanks. That is how I came across BellaRosePlanners on Etsy. She makes clips at a much better value. 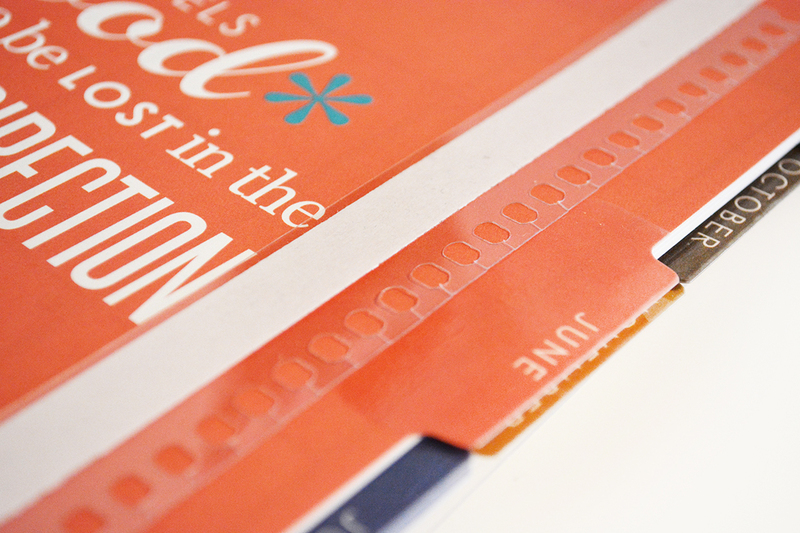 Each clip comes with an additional inch added to its length, adding more support to the page when it is being turned. The great thing about that, is that I don't have to cut anything! The particular set I purchased is her Version 2 with Larger Openings in White and was $14 for a pack of 10. This version wasn't entirely clear but since I was going to cover the page with stickers I created for my shop, I didn't mind too much. The shipping was super fast and I fell in love with the planner all over again after installing all my pages back. Since the purchase of my original set, Christine at BellaRosePlanners released another material for her snap in clips which was made of a more flexible and clear plastic. 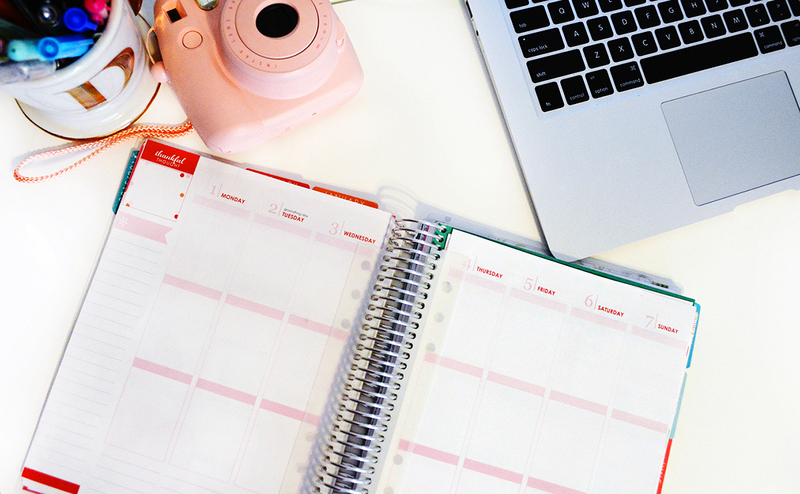 I definitely suggest the clear over the white original if you're planning on using this for your planner because the clear material is so much easier to see through, making your planner much more functional! When you receive your clips they will come like the image shown above (Clear material). A non stick piece of paper will be covering the adhesive so that the the clips will remain sticky until you want to use them. I suggest if you want the straightest possible pages in your spiral bound, to attach the clips in first before attaching the page. 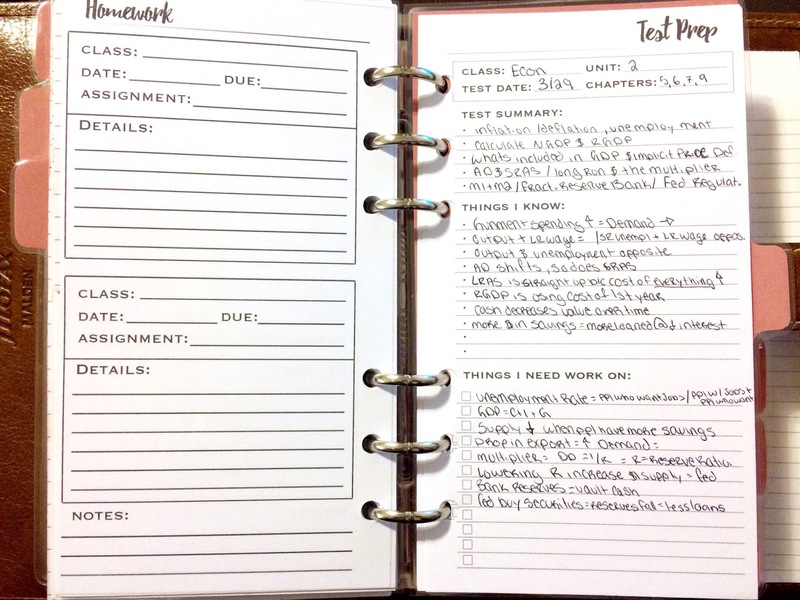 This makes it so that you can line the holes in the correct place on the page and your paper won't lie too high or low on the planner. I made this mistake the first time and now one of my sheets is about 1/4 of an inch higher than the rest. Learn from my mistake! The great thing about these clips as well is that if you have left overs, you can easily cut them and use them for journaling cards or to do lists! Needless to say, I am very happy with my purchase and I hope this helps you in case you went through the same thing as me! As always, thank you so much for reading and let me know if you have any questions!